Time to up your watch game? 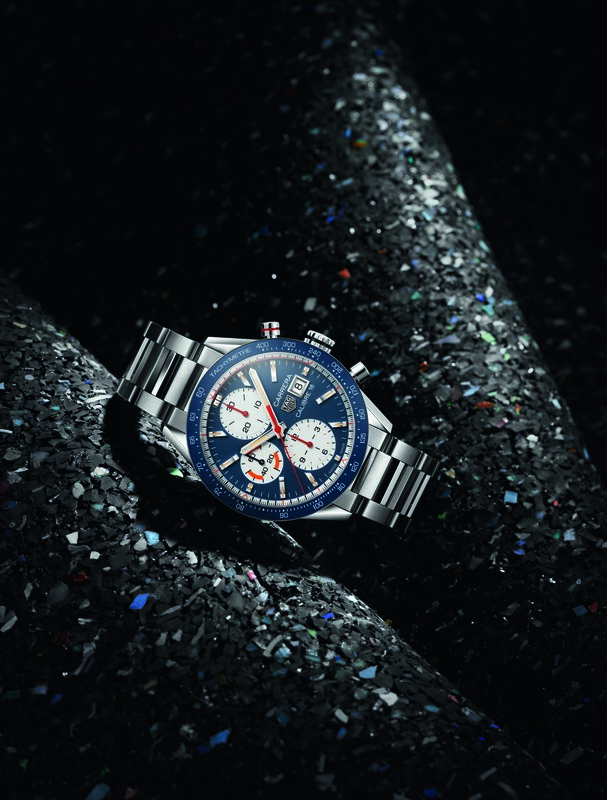 M2 has put together a list of our favourites from 2018, from big names like Tag Heuer, Grand Seiko, Rolex and Cartier. Have a few thousand dollars spare…? 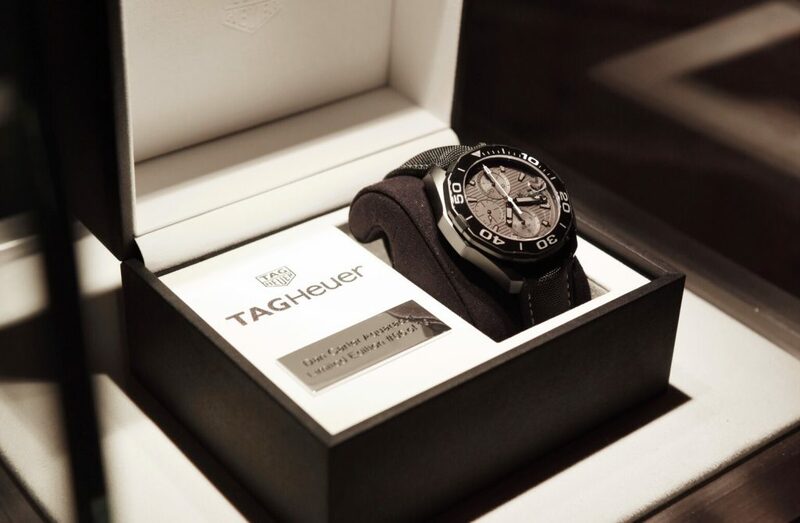 Dan Carter has been a longtime friend TAG Heuer and joined their exclusive network of global ambassadors in 2017. His recent return back to New Zealand was the perfect occasion to launch the Dan Carter Aquaracer Special Edition. The black Aquaracer Calibre 16 timepiece is equipped with a 43mm case featuring Dan’s signature on the sandblasted black titanium carbide coating titanium Grade 2 caseback. Waterresistant to 300 metres, it features the signature unidirectional turning bezel from the iconic Aquaracer series with black faceted ceramic on the bezel. To symbolize Dan’s iconic number, the 10 on the bezel is in white. The timepiece, limited to of course a production of 10 units, is accompanied by a special edition watch box and is only available in New Zealand. Number 1 was auctioned by Webb’s auctioneer Lauren Boustridge for Dan’s charity raising a total of $18,000 for the iSport Foundation and number 10 was gifted to Dan on the day by TAG Heuer. The remaining limite dedition timepieces are available for sale exclusively through Partridge Jewellers. 2018 marks the 55th anniversary of the iconic TAG Heuer Carrera collection. Since it was launched in 1963, this model has become synonymous with motor sport timekeeping. With several legendary drivers like Ayrton Senna wearing a TAG Heuer Carrera chronograph during their career. Two new vintage-inspired timepieces powered by the Calibre 16 Automatic carry on the legend with a 41mm diameter: a black version with a black leather strap and a blue version with a steel bracelet. With touches of red, the colours, contrasts and position of the counters are references to their motorsport heritiage. The bezel is made from ceramic, and features a tachometer scale. Originally opening its doors in 1881, Seiko’s place has been securely cemented on the world-wide watch-wearing community. Over the years, their watches have evoked look, feel, calibre and mechanics while keeping true to the original ethos of quality and innovation. Over 137 years later, the Astron Executive Series, designed for those who want a watch that looks classy and stylish whilst also being suitable to every outside condition, is a powerful testament to that original ethos. The series comes in three types of watch – the SSE167, the SSE169 and the SSE170 – each with their own unique specifications. Each watch has a GPS network and, at the touch of a button, adjusts to the local time anywhere in the world, using just the power of light. The sports series features the 8X53 calibre which also offers dual time sub-dial with an AM/PM indicator. It is 20 bar water resistant and is designed with long hands and indexes in the highest LumiBrite to keep the watch lit in dark surroundings. A super hard, scratch-resistant coating ensures that the watch’s luxurious style can handle a weekend of adventure and still look sharp when the work week begins. Each watch is designed with a strong, bold look that highlights the logo. The SSE167 is NZD $4,800, the SSE169 is $4,700 and the SSE170 is $4,900. With a new case and a unique dial, the Grand Seiko 9S has returned looking sharper and cooler than ever. 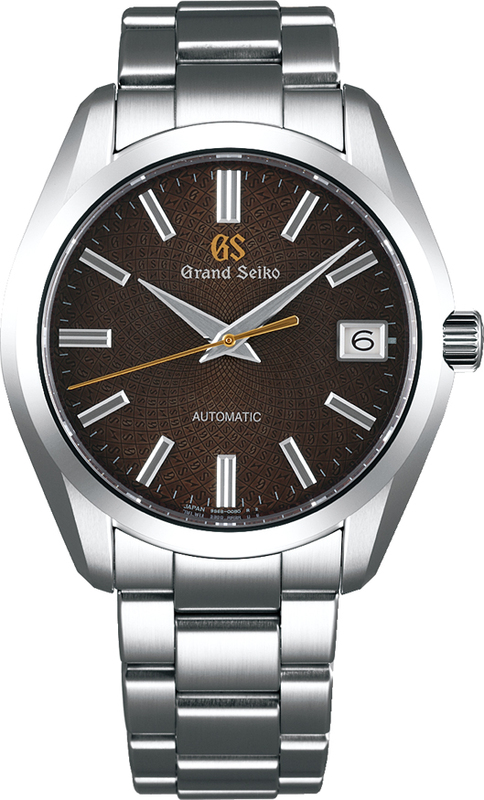 First launched in 1960, Grand Seiko has been long steeped in the marque brand’s image. Its watches have changed refined their calibres over the years, but has still kept that unique style. On the 20th anniversary this year of the mechanical calibre, Grand Seiko is bringing out a new design with the new Spron alloys for both the main and balance springs and MEMS engineering. The Grand Seiko 9S 20th Anniversary Limited Edition watch is an automatic and has a high definition dual-curved sapphire crystal with anti-reflective coating. It has a see-through case-back and a clean stainless steel bracelet. 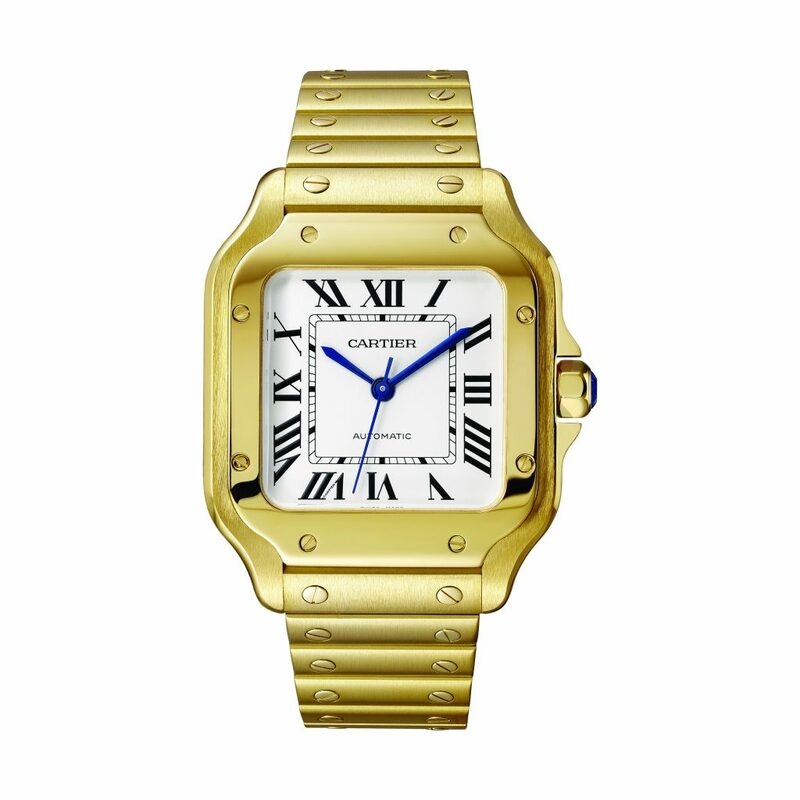 The watch is water resistant to 10 bar and has a power reserve of up to 72 hours. Grand Seiko has a reputation for high quality timepieces and they’ve certainly delivered just that over the years. With this quality of timepiece being intrinsic to the history of the watchmakers brand, the Grand Seiko 9S 20th Anniversary Limited Edition is certainly a watch to look out for. This long-remembered mark stands proudly on the dial of the watch in a mosaic monogram pattern layout with the GS initials, marking it down in history. It has a retail price of NZD $8,600 with a limited stock of only 1,300 units world-wide. The Santos watch, large model, 18k gold with a case width of 39.8 mm and a thickness of 9.08 mm, features a seven-sided crown in 18K yellow gold set with a faceted sapphire, silvered opaline dial, blued-steel sword-shaped hands. 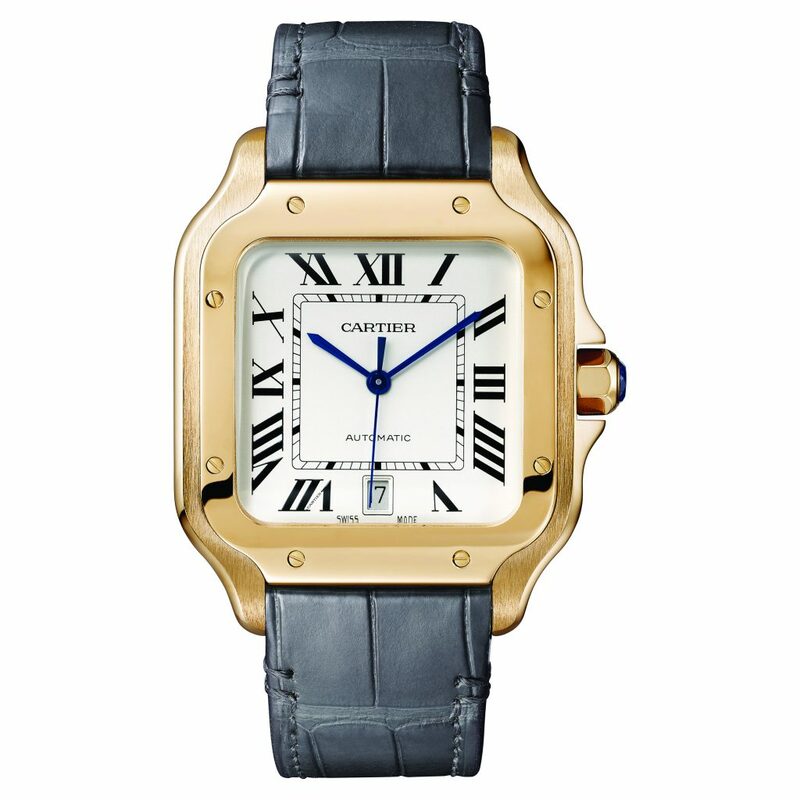 Keeping those hands moving is Cartier’s famous 1847 MC movement with automatic winding. The watch comes with two bracelets styles which are equipped with the “QuickSwitch” interchangeability system. One is an 18K yellow gold bracelet with “SmartLink” resizing system. The second bracelet in alligator skin, with double adjustable folding buckle in 18K yellow gold. This is just the sort of generational investment that will still look good in another 114 years. The Santos watch, large model, 18K pink gold features the same case width of 39.8 mm and a thickness of 9.08 mm, the seven-sided crown set with a faceted sapphire, silvered opaline dial, blued-steel sword-shaped hands but of course in 18K pink gold. At its heart is also the same 1847 MC movement with automatic winding. This watch includes two straps in alligator skin and in calfskin, with “QuickSwitch” interchangeability system, double adjustable folding buckle in 18K pink gold. 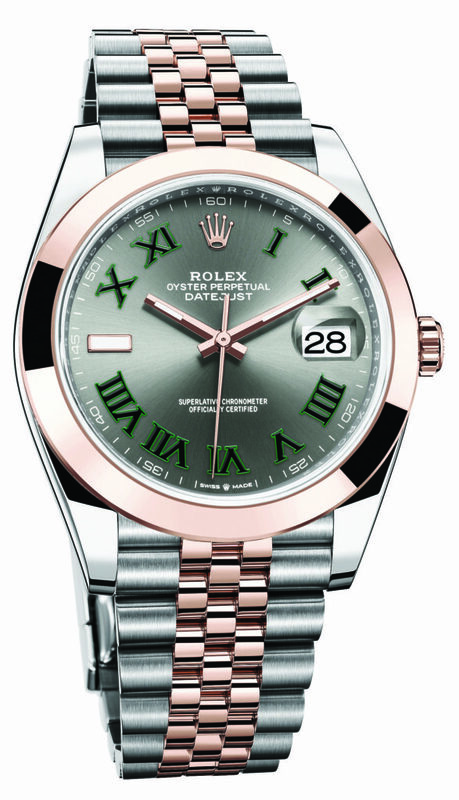 The Rolex Datejust is the modern incarnation of the an iconic classic. Our particular favourite is the Oystersteel and Everose gold ref:126301 which features a Slate Dial characterised by hour markers fashioned from 18 ct gold. Everose Rolesor is combination of Oystersteel and 18 ct Everose gold and pairs the beauty of rose gold along with the toughness of steel. At the heart of this special watch is a new generation movement, the calibre 3235. 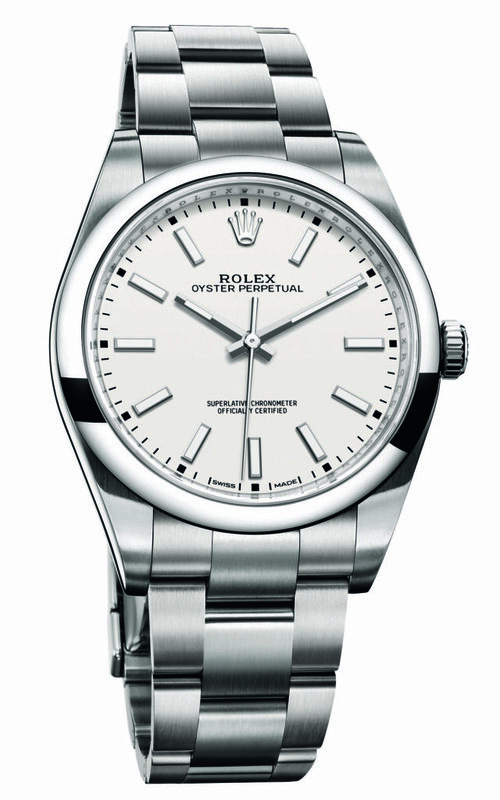 Launched at 2015 Baselworld, the classic simplicity of the Rolex Oyster Perpetual 39 ref. 114300 made it an instant hit. Now in 2018, Rolex have introduced two new models, with black and white dials adding to the four original colours. Featuring a 39mm Oystersteel case the Oyster Perpetual 39 ref. 114300 is powered by a Rolex calibre 3132 is a self-winding mechanical movement with paramagnetic blue parachrom hairspring and high-performance paraflex shock absorbers. If you are into your superalloys, you will be pleased to know that Oystersteel belongs to the 904L steel family, superalloys most commonly used in high-technology and in the aerospace industries. Inspired by the iconic Memovox Polaris watch from 1968, Jaeger-LeCoultre has developed a new collection to join the brand’s existing pillars. But a single homage this historical reference is just not enough. 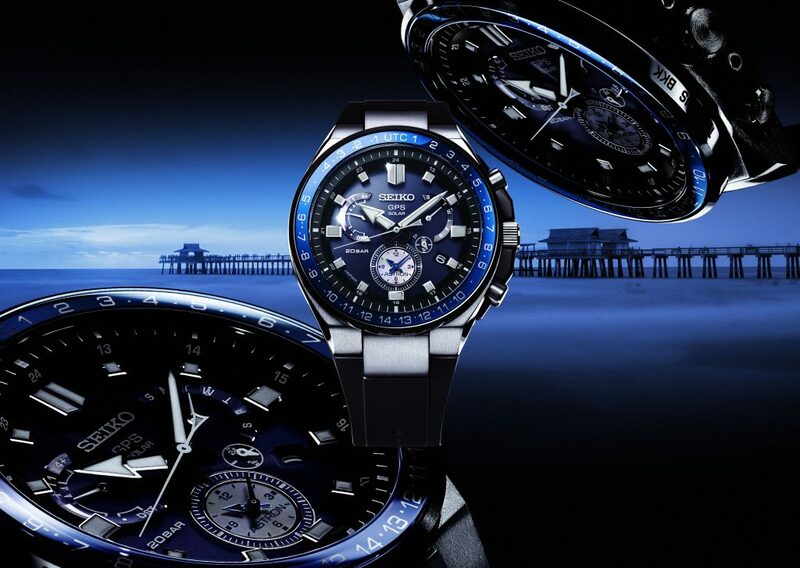 The new Jaeger-LeCoultre Polaris collection takes the spirit of Memovox Polaris and gives us full range of timepieces: a three-hand automatic, a chronograph and a chronograph world time, as well as two models with a stronger vintage feel: the Jaeger-LeCoultre Polaris Date and the Jaeger-LeCoultre Polaris Memovox. 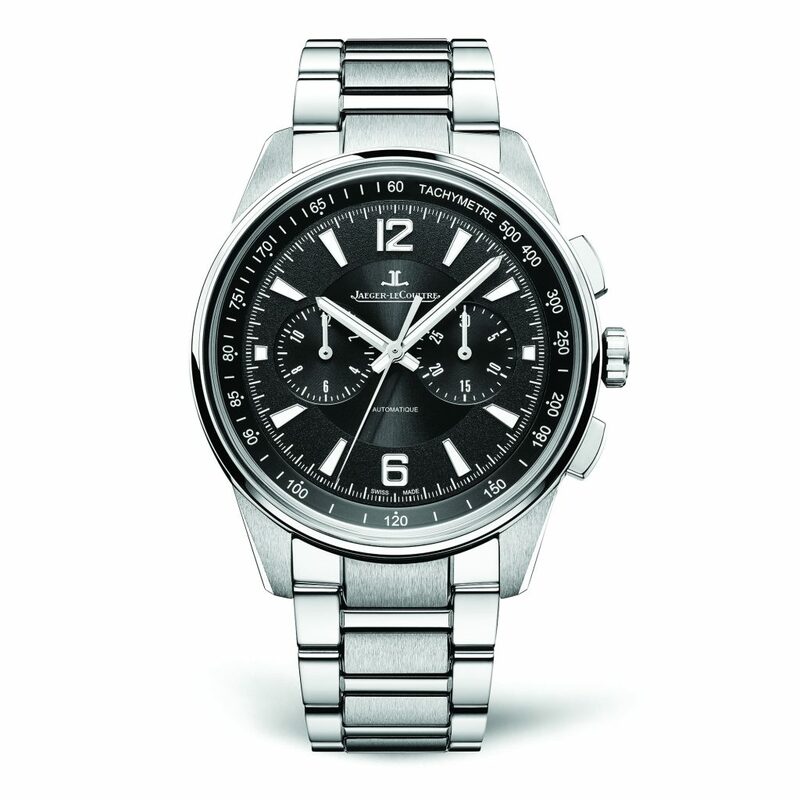 Our favourite is the Jaeger-LeCoultre Polaris Chronograph watch in steel featuring a dial design with three black finishes, a 42-mm case and a three-link steel strap. At the heart of this watch is the Jaeger-LeCoultre Calibre : 751H which boasts 262 parts and a 65-hour power reserve.